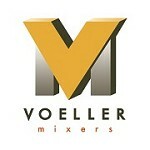 PROUDLY MADE IN THE USA: Voeller Mixers, Inc. is a proven manufacturer with over forty years of experience in the manufactured concrete products industry. Our customers rely on our mixing and batching systems to provide a quality, cost effective, consistency of mix. VOELLER, a capability proven the world over.